PayPal is the online payment solution. It provides you to send and receive money online in a secure and easy way. It completes your transactions without revealing your financial details to other party or person. It simply uses your email address for sending or receiving the payments. It helps to boost your business. It provide free business account. It accepts cards all over the world and make payments anywhere. Payza provides online payment platform for transactions of all sizes. Its wide network can accepts online payments from 190 countries. It offers free sending of money and provides security to protect your information. It offers online free business account. It helps you to grow your business by providing secure platform. It has built-in fraud prevention feature and personalized support. Skrills provide you the cheaper way for online payments. It provides payment solutions for business. It offers payments in 39 currencies and 200 countries across the world. 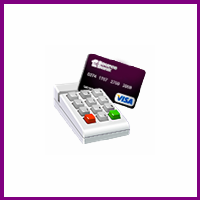 Its card processing capabilities accept credit cards and debit cards. In one integration it have wide range of alternative payment methods. Braintree provides online payment platform for transactions of all sizes. It don’t subscribe regular fees/charges. To process recurring payments, off payments and donations/payments requests. In terms of providing fraud assessment and security for users, it deducts a very small percentage of successfully processed transaction. It supports the devices of iOS, Android and windows to view the dashboard on mobile. One may get information from dashboard about process transaction, billing and for ensuring in time delivery may receive instant push notification for payments. Amazon Payments is a online payments platform. It provides you the fast, easy and secure way to pay online payments. It helps you to grow your business by providing unique features. It provides protection against frauds and thus enhance your business with Amazon. It provide you to have inline checkout of your customers. Strripe provides a simple way of accepting online payments, tackling subscriptions, store cards, and direct payouts to bank account. It support devices with iPhone-iPad, Android and Web-based. Stripe don’t charge monthly or annually but only charges 2.9% + 30¢ fee for every successful charge. Stripe provide easy handling of billing issues just with few clicks. Provides active security to prevent frauds and suspicious transactions. ProPay was Founded in 1997 by Bradley Wilkes, ProPay has boarded more than 1.5 million merchants. It include ability to receive and send money anywhere in the world and even recurring billing and a built-in shopping cart. It is also accepted by eBay which is another big advantage over others. It provides flexible merchant services. PaySimple provides low rates of credit cards, best in-class invoice and ACH payment acceptance. Billing automation, managing customer and payment acceptance are all in one integrated system. One may be enable to have speed up payments spending less time for pay email invoicing, payment acceptance or recurring billing on just one click from any computer, mobile or website. It provides data import/export feature along with automated payment communications and automated late payment follow-up. It demands subscription charges. FuseBill provides Cloud-Based platform for companies with revenue from $1 million to $ 50 million. Companies need to get subscriptions first to avail FuseBill platform and may have recurring billing, credit card collections and invoicing. It also supports offline, online and hybrid business models without the need of any code or development to start. It supports iPhone-iPad and Web-based devices. It maintains PCI Level 1 of data security standard to protect customer and credit card data.